A visit to Union St. | Home: Free Sociology! For anyone in love with these little corner grocery stores (and there are a lot of us), it’s striking and bizarre that we don’t allow them in residential zones anymore. But Union Market isn’t actually a corner store. Why? Because this beautiful old townhouse complex right next to Union Market occupies the corner. To those of us who love townhouses, it’s striking that this form of housing is also forbidden from the majority of residential zones in Vancouver. Here it’s grandparented in with RT-3 zoning to preserve the pre-1920s cityscape of Strathcona. It’s even got heritage designation. It’s clearly a valued streetscape. So why isn’t this form of housing allowed on other residential streets? · grocery store: the final addition was made in 1913, after street levelling activities in Strathcona were complete; it is a two-storey clapboard-sided grocery store with tin cornice, which abuts the Union Street edge of the property. The latter two extant buildings are representative of architectural and historical themes unique to Strathcona including: Strathcona’s working class heritage; urban change/street levelling activities and community response; and vitality of neighbourhood through grocers and other home-based business. That’s a lot of variance! It also demonstrates nicely just how many restrictions around development are currently in place in zoning by-laws. And this, of course, is simply to restore the “working class heritage” of the lot. Were there objections? · the proposed development is too dense relative to the single family dwellings typical of this block. Strikingly, the neighbourhood association supported the retention (with some caveats) and the half of respondents supported the project in its entirety, with the remainder supporting parts. The most pertinent objections came from the property to the East of the lot. A variety of alterations were made accordingly. But the basics of the renovation remained, and ultimately the lot provided room for three units, subsequently stratified, and now assessed as worth $832k, $868k, and $1,100k. That’s a lot for twenty year old dwellings, and probably well beyond “working class” territory. But most of the value, as always in Vancouver, is in the land. What do we get in allowing three households to split the cost of the land rather than one? Well, the single structure beat-up house next door (to the West, partially obscured by the tree above) is assessed at $1,568k. Even taking into account a bit of land lift, each of the three twenty year old units created remains far cheaper than the nearly hundred-and-twenty year old unit (likely in need of some repairs?) next door. What about that persnickety neighbour to the East? Well… about that… some dozen years after the old store front building was re-done, the lot to the East was entirely re-developed through a lot assembly with the adjoining house. Now the redevelopment of the two lots support and serve as their own heritage infill case study. It’s pretty fancy! What’s striking is that the two lots together now support SEVEN different dwelling units, centred around an interior courtyard. Despite the benefits of sharing land, none of the ultimate unit prices (ranging from $523k to $1,259k) seem likely to provide stable and affordable housing for the working class households of today. For that, we’ll need more purpose-built rental and social housing. But both of these things become more viable when land costs can be shared across units. 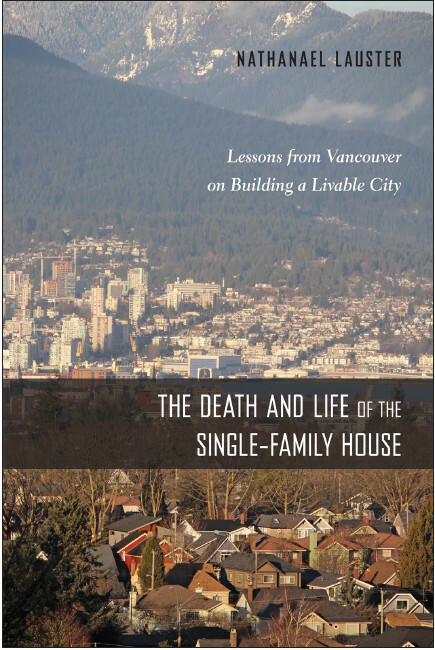 Maybe the best way to insure that the working class heritage of Vancouver continues on into the future is to enable and support purpose-built rental and social housing everywhere – especially in the places this kind of housing has historically been excluded. Vancouver’s re-legalization of duplexes on RS zones and moves forward on Making Room are probably good steps along the way. *- It’s actually unclear how many dwellings are contained in the dwelling with the car in the backyard because we don’t know whether it’s been subdivided to contain one (or more) suites. Legally there is only one dwelling available to be owned.